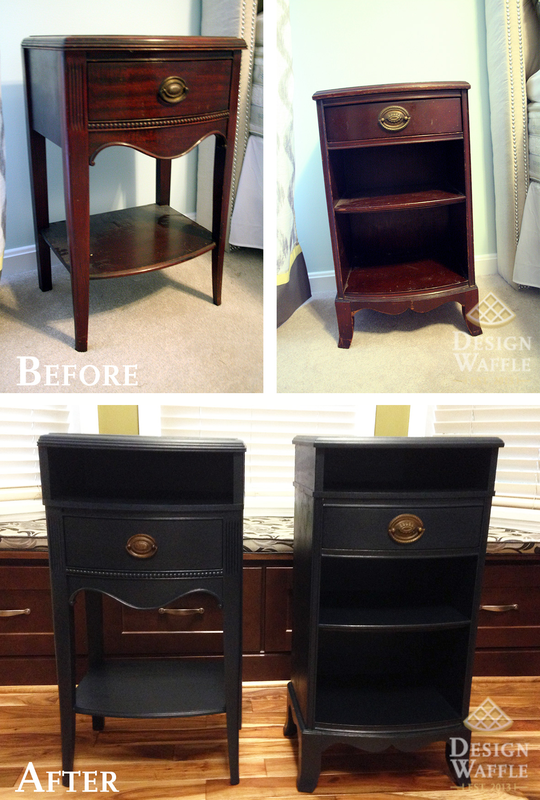 I finally got around to refinishing our antique nightstands. It’s been a long process. Mostly because I’ve been working on so many projects around the house. It’s hard for me to focus on one thing and finish it before I move onto the next thing. So, I’m a little bit of a crazy person multitasker. 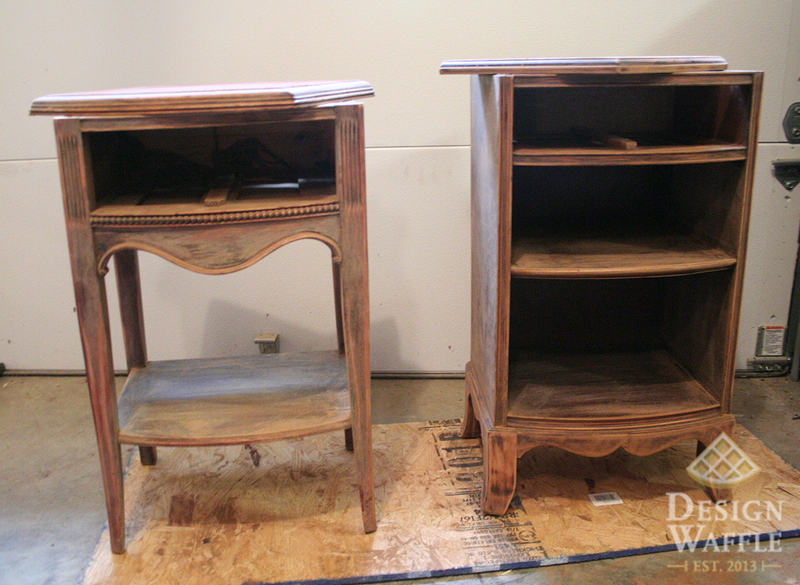 And to add to the refinishing, I decided to give our nightstands about 4″ more in height. Building up! We added an open shelf above the drawers in both nightstands. I started by popping off the tops of the nightstands. The tops remained the tops and the extension/addition was added in between. 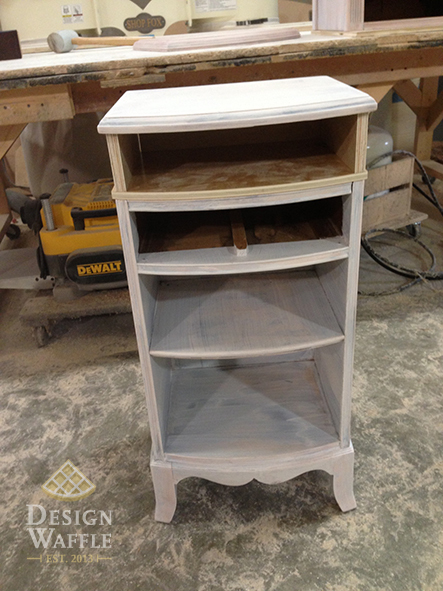 Then I sanded and primed. 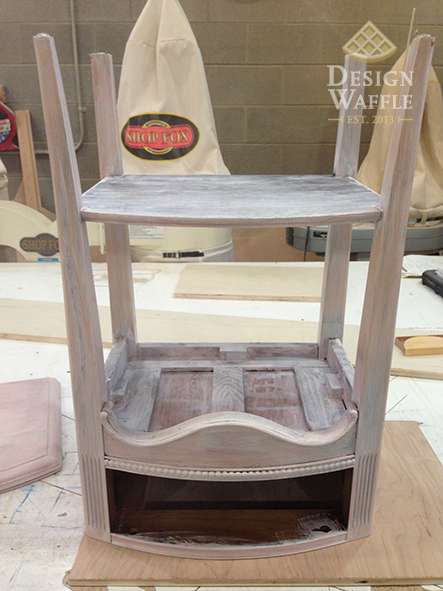 No picture of just the primed nightstands, but you can see how they’re white in the next section below. Rob (my brother-in-law) did this part. 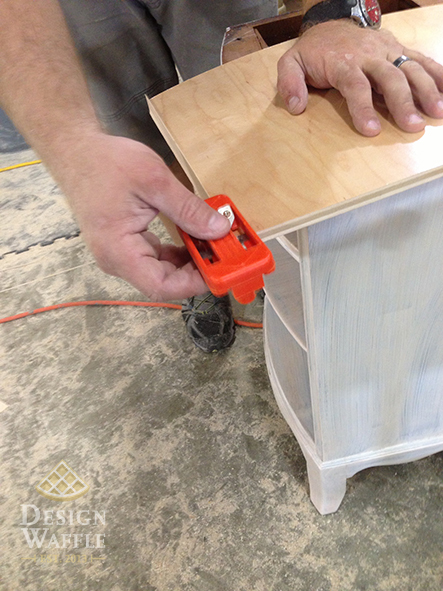 He traced the tops of the nightstands for the extension part. 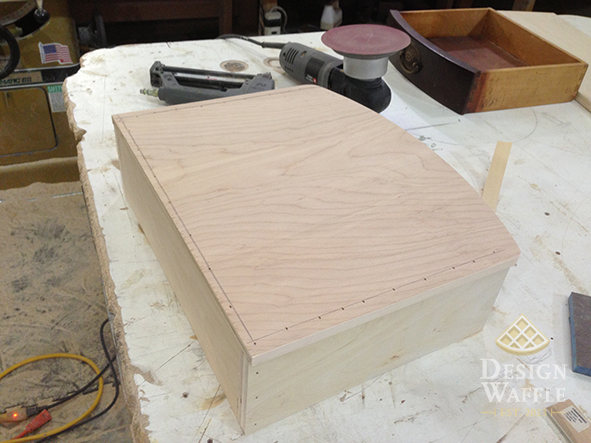 He cut the wood and applied edge banding so the plywood would have nice smooth edges. 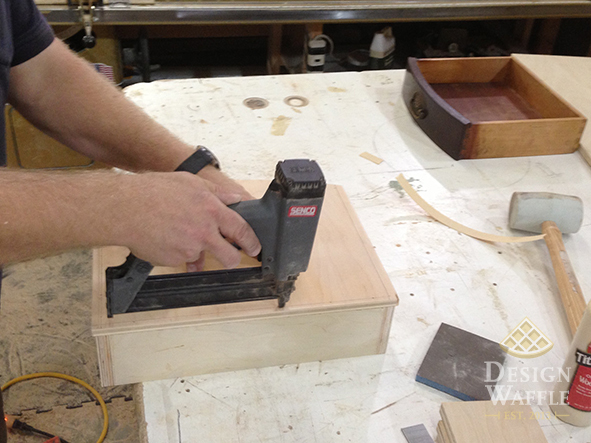 Then he nailed the sides and back together and then nailed that part to the bottom piece. 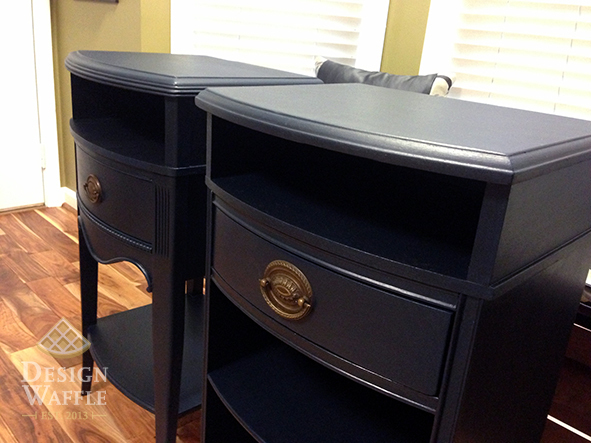 We made sure that the “additions” to the top of each nightstand looked as if they were meant to be there all along. 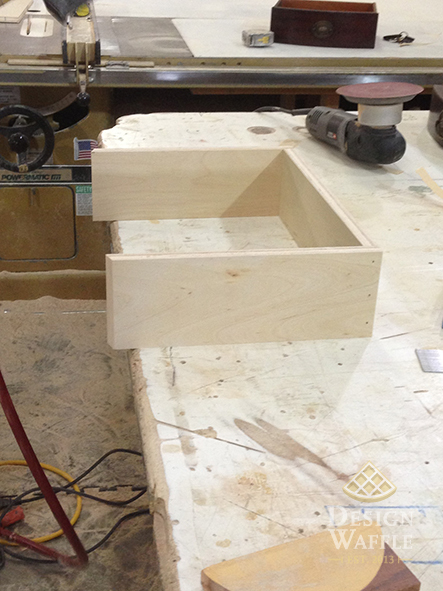 Each open shelf is sized accordingly in relation to the height of the drawers. 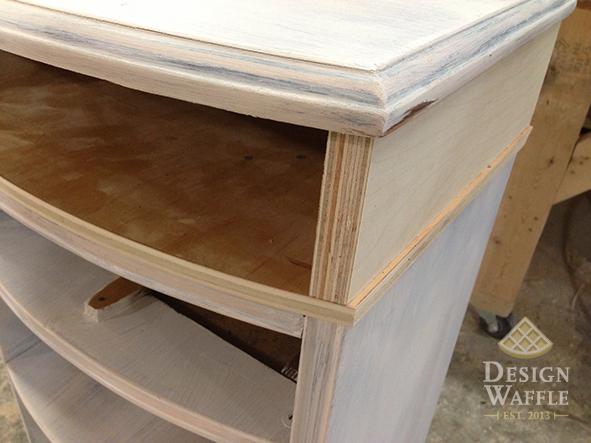 The nightstand with the open shelf on the bottom has a different line structure on the sides so Rob continued those lines in the extension. You can see this part in the last few photos. The two photos below were before the edge banding because I wanted to make sure everything looked right before nailing it together. So the pieces are just stacked. This shows the “extension” part upside down. 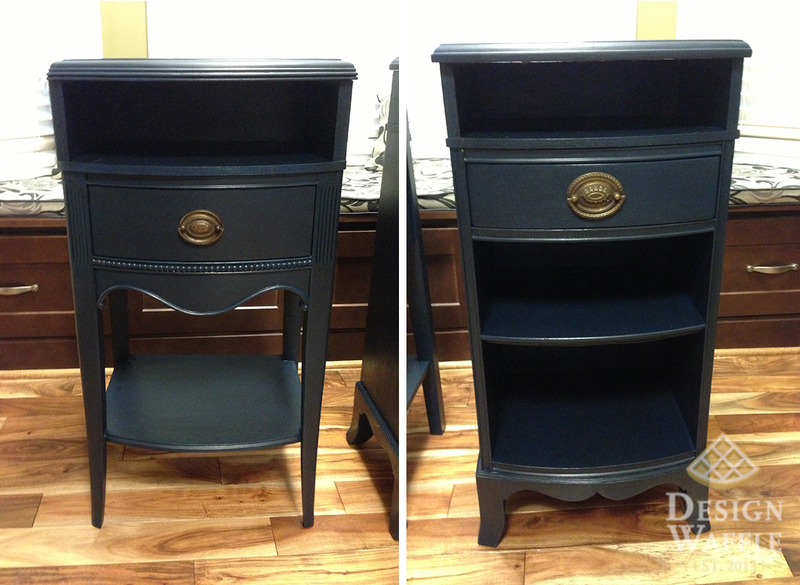 I painted the nightstands a dark blue and then used a black antiquing glaze once dry. 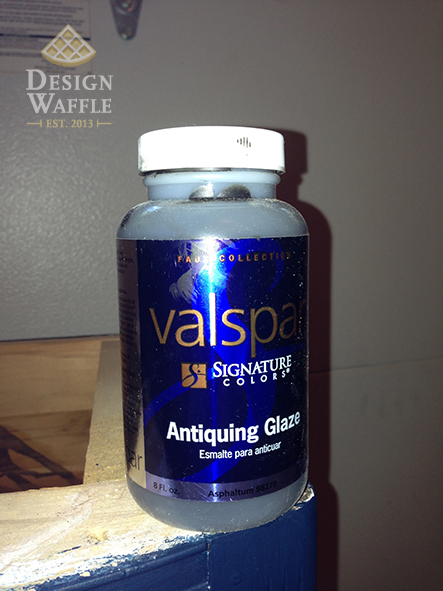 After allowing the glaze to fully dry a day or so, I applied a rub-on clear coat. I’m pretty happy with the results! I’m so glad we found a way to keep our old nightstands and make them functional in our bedroom. 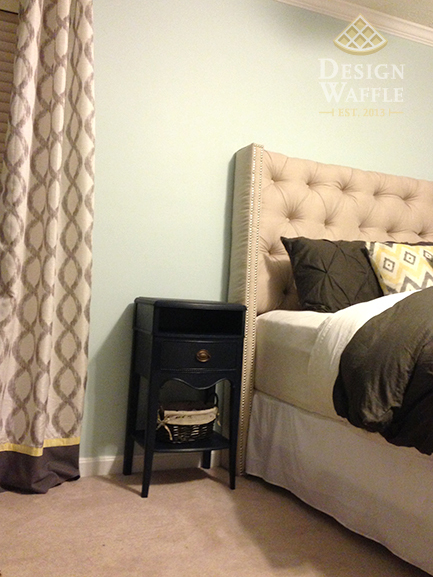 This entry was posted in DIY Projects and tagged adding an extension to nightstands, Building onto nightstands, Design Waffle, DIY, taller nightstands. Bookmark the permalink. 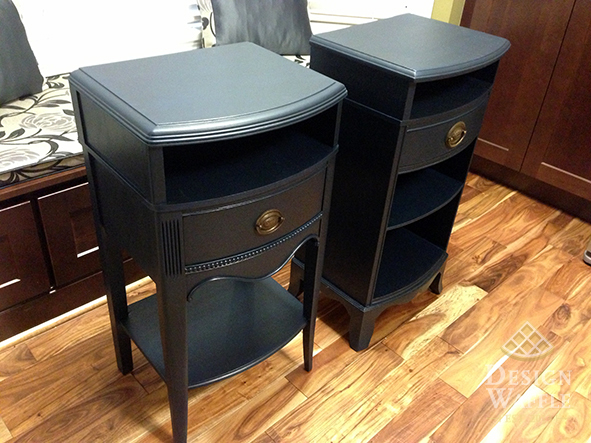 4 Responses to Nightstands: Building Up!